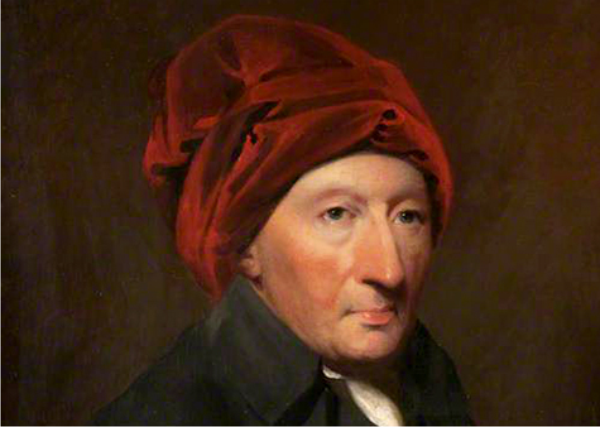 Thomas Reid fought the dangerous presumptions of John Locke and especially David Hume, the idea that man cannot know reality with a flawed, subjective and prejudiced mind. Reid asserted that human intuition and perception are reliable indicators of what is real, that morality could be assumed in the same way natural phenomena is assumed. 1) I belief in the existence of all things of which I am conscious. 2) I know my thoughts are my own. 3) I know that my memories are reliable. 4) I know that my existence is self-consistent. 5) I know that things really exist which I perceive by my senses. 6) I know that I have “some degree” of power over my actions and the determination of my free will. 7) I know that my natural capacity to distinguish truth from error is reliable. 8) I know that the other persons have intelligent inner life. 9) I know that actions as well as words indicate thoughts in the minds of myself and others. 10) I know that testimony and personal opinion are matters of regard. 11) I know that there are events which are self-evident. 12) I know that nature will always relate to itself in repeatable ways, that things will act as they always have in the same circumstances. These a priori assumptions of Scottish Common Sense Realism were similar to those taught at Princeton by John Witherspoon, Archibald Alexander and others, restated Christian morality in a scientific form without having to appeal to the special revelation of Scripture or to the authoritative traditions of the church. Scottish Common Sense Realism provided a defensable position in the Age of Reason for retaining a belief in scriptural authority and usefulness of the church, since it could demonstrate their reality on the basis of common sense perceptions without the need of immediate activity of the Holy Spirit.
" If God has given to man a power which we call conscience, the moral faculty, the sense of duty, by which, when he comes to years of understanding, he perceives certain things that depend on his will to be his duty, and other things to be base and unworthy; if the notion of duty be a simple conception, of its own kind, and of a different nature from the conceptions of utility and agreeableness, of interest or reputation; if this moral faculty be the prerogative of man, and no vestige of it be found in brute animals; if it be given us by God to regulate all our animal affections and passions; if to be governed by it, be the glory of man and the image of God in his soul, and to disregard its dictates be his dishonor and depravity — I say, if these things be so, to seek the foundation of morality in the affections which we have in common with the brutes, is to seek the living among the dead, and to change the glory of man, and the image of God in his soul, into the similitude of an ox that eateth grass. If virtue and vice be a matter of choice, they must consist in voluntary actions, or in fixed purposes of acting according to a certain rule when there is opportunity, and not in qualities of mind which are involuntary. It is true that every virtue is both agreeable and useful in the highest degree; and that every quality that is agreeable or useful, has a merit upon that account. But virtue has a merit peculiar to itself, a merit which does not arise from its being useful or agreeable, but from its being virtue. This merit is discerned by the same faculty by which we discern it to be virtue, and by no other." Thomas Reid was the beginning link in the chain to the heresy of Decisional Regeneration. If regeneration is merely metaphysical psychological moral persuasion of the Word of God (with the quickening of the Word to the heart by the Holy Spirit), then acceptance of the truth of scripture can be seen as saving faith with de facto regeneration. It was graduates of Princeton Theological Seminary who helped change the system in the Inquiry Room for BEST to BIST after the Civil War. It was a small step from accepting a scripture in the Inquiry Room to acceptance of a scripture by coming forward in a Billy Sunday altar call.